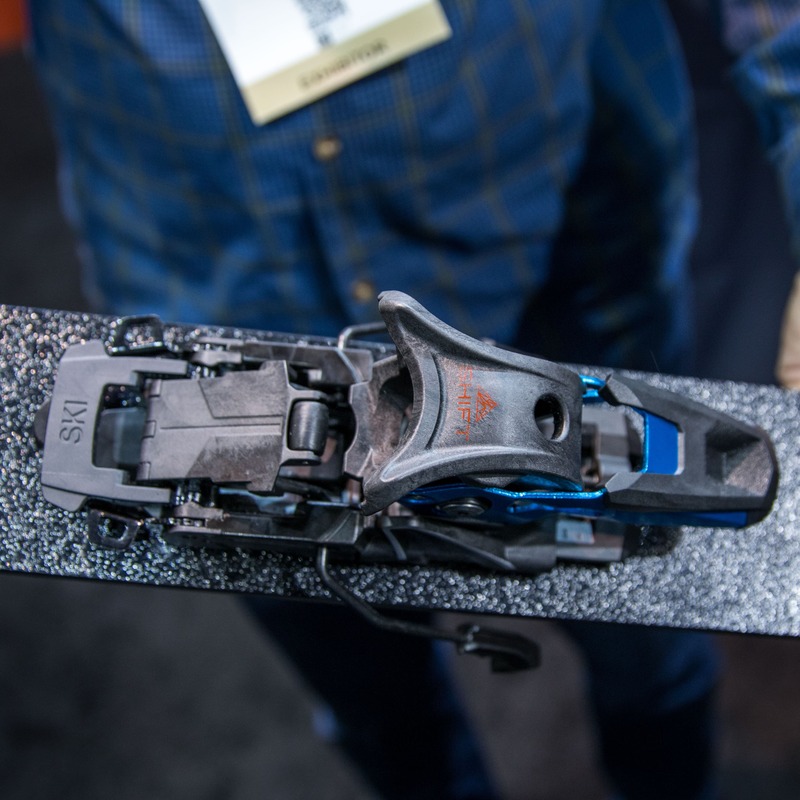 The new Shift binding from Salomon is the transformer of the ski world: a proper alpine binding for the downhill but pull a few levers and it’s a pin binding for walking uphill. 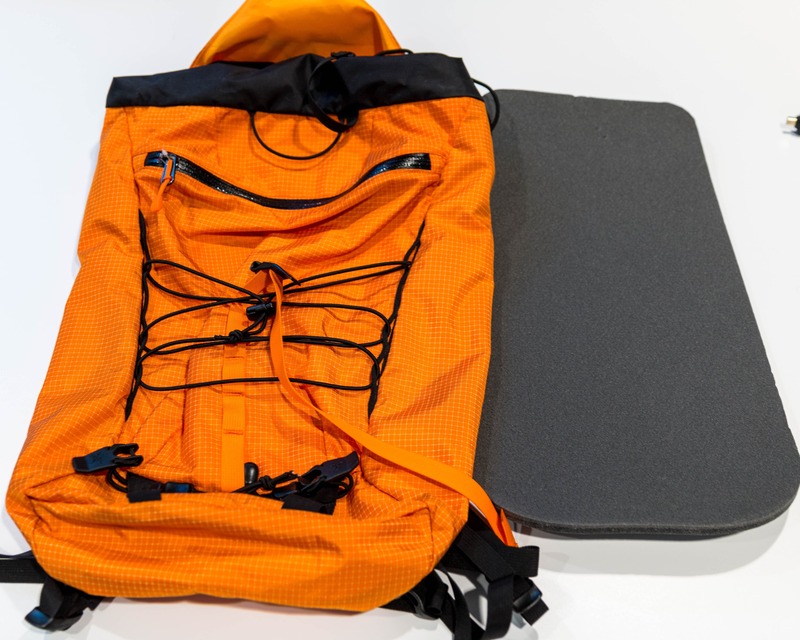 This unique blend of Downhill and Tech binding designs captures the main benefits of both with few of the compromises in a frame-free package. 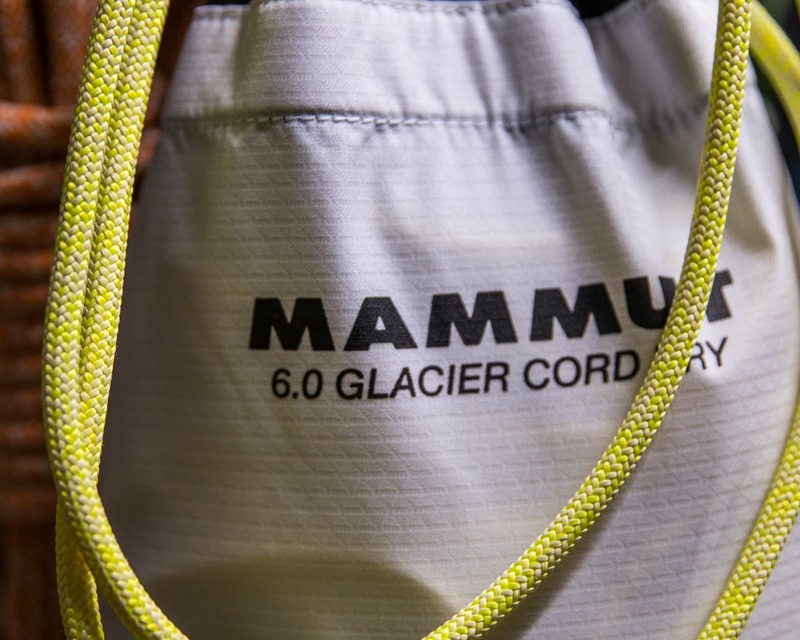 It features a Multi-Norm compatible toe that’ll work with both touring and alpine ski boots. Of course boots with tech inserts are needed for walking uphill. There are two heel positions, neutral at 2 degrees or a 10 degree lift. 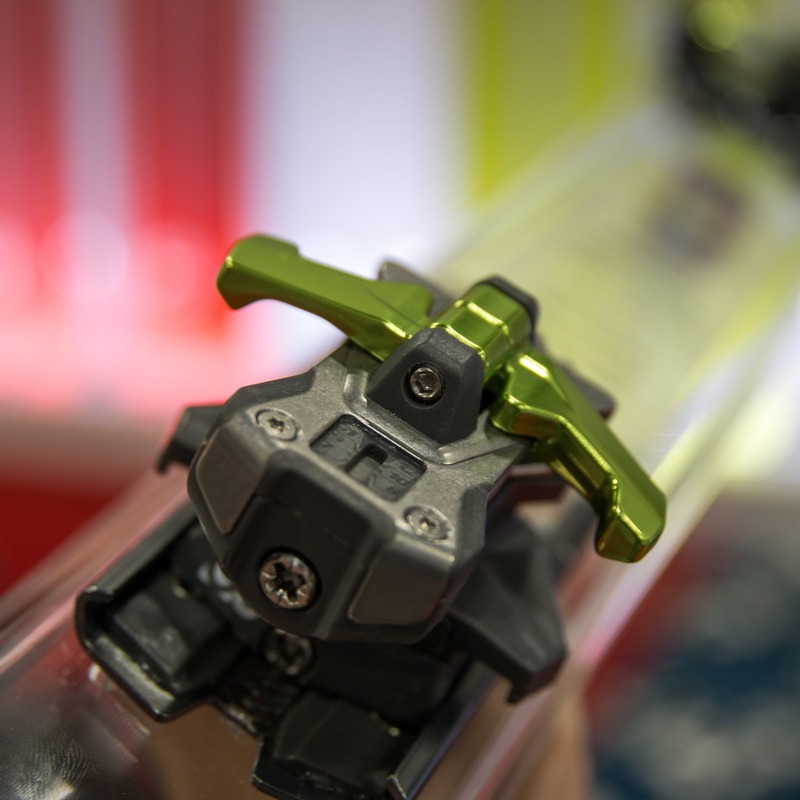 The bindings are crampon compatible with 100mm & 120mm size options available. And while it’s not exactly light the Shift isn’t overly heavy either. These 13 DIN bindings will weigh 850g/each, similar to the Guardian 13 or about 100g more than the Kingpin. Not bad for downhill performance that can walk back up the mountain. On the surface it looks like the ideal slack-country set-up but I’m going to reserve judgement until I see how the switch-over works when the bindings are packed with snow and ice. For a larger version of the below images just click on them. 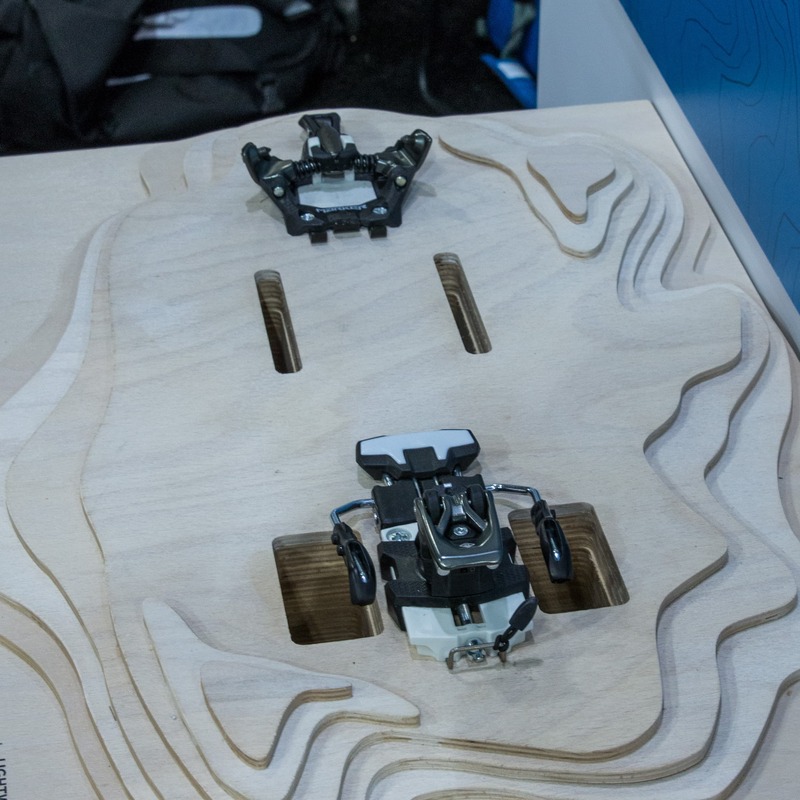 The blue lever is flipped up which sets the toe in downhill mode. Black lever is flipped to ski mode. Black lever is flipped to tour mode. 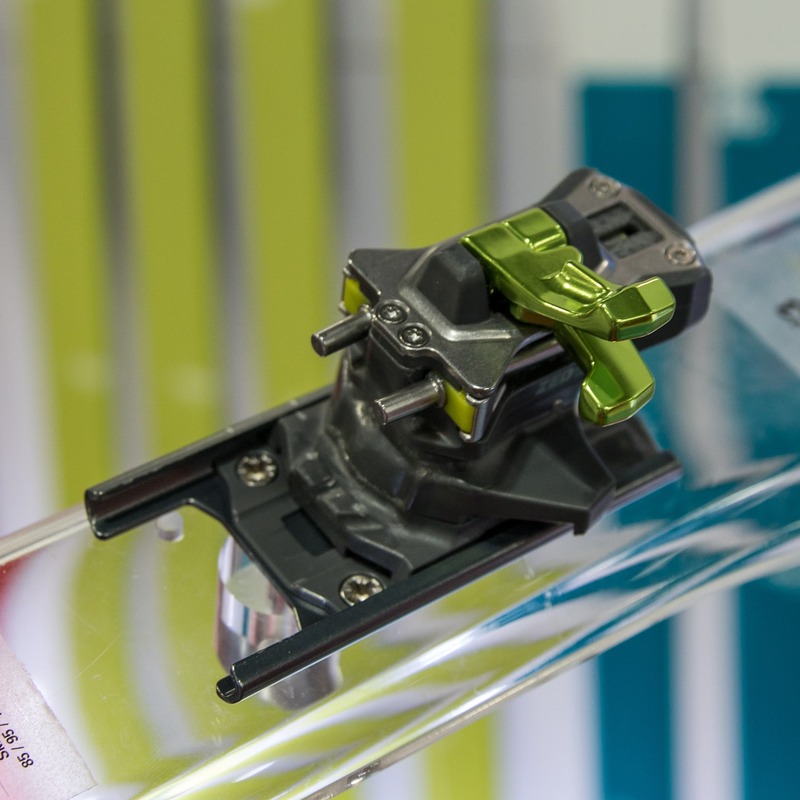 When creating the new lighter-weight ZED binding G3 decided not to compete in the over-crowded, super-light tech binding arena. 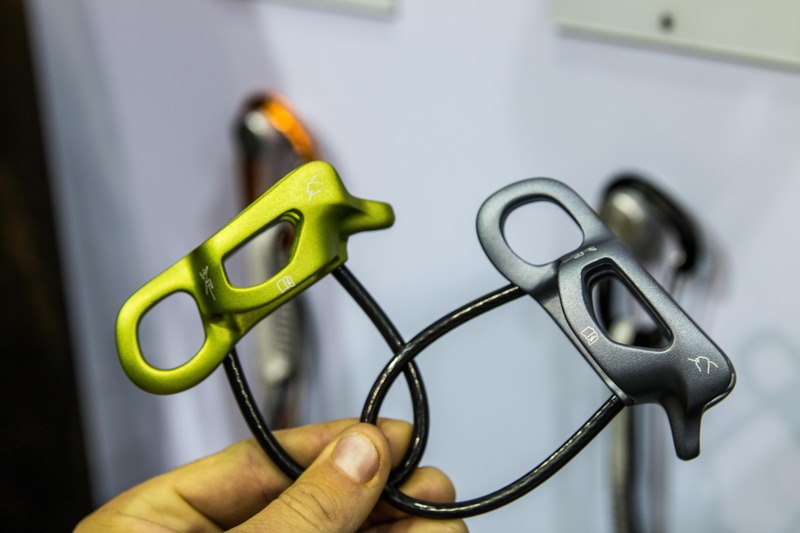 Instead they focused on making the lightest full-featured tech binding on the market. The result is basically a sleeker, trimmed down version of the popular ION that weighs in at 345g. That’s 275g less than the ION and 100g less that the ION LT! So how did they dump so much weight? Well the engineer that I spoke with said they reviewed each and every aspect of the design with the goal of cutting grams but not performance. And it’s not hard to see what he’s talking about. Compare the ZED and ION bindings and it’s obvious that any extra or unnecessary material has been removed. Of course the brakes have been cut (sold separately) but on top of that everything’s a little thinner and sleeker, more finessed. An innovation in the standard Release Value setting assembly on the heel was also key to dropping weight. Instead of having separate vertical and lateral settings, G3 developed a system that allows a single screw to set both. Of course the other half of the story is the feature set that’s included in the light-weight package. 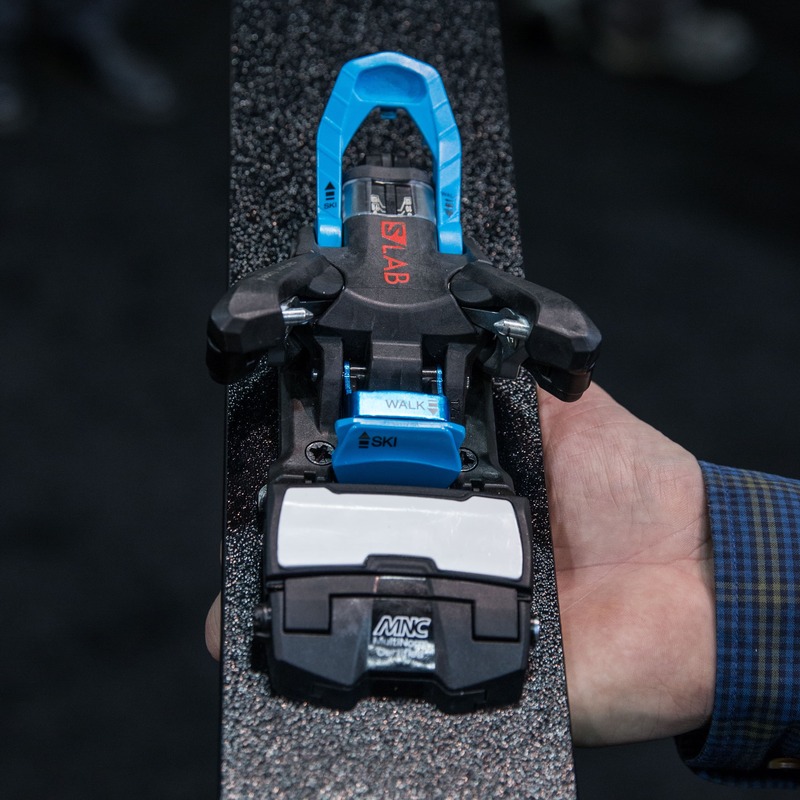 This impressive list includes: G3’s consistent toe retention/release mechanism that doesn’t require skiers lock into walk mode on hardpack or in the steeps. Rotating heel pins with 10mm of forward pressure for a consistent heel release. Release Value range of 5-12. 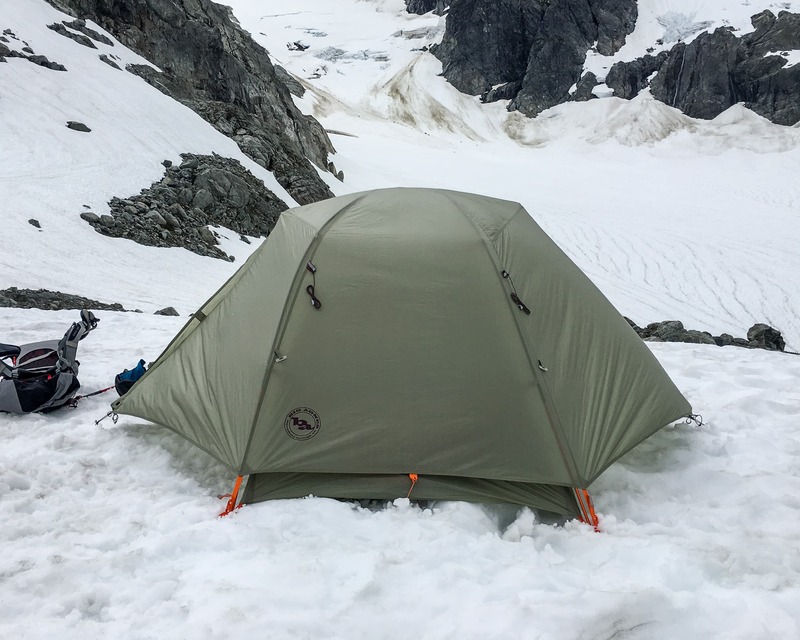 30mm of travel to adapt to different boots. And of course 3 heel height settings. MSRP $499 USD (+$85 if you want brakes). 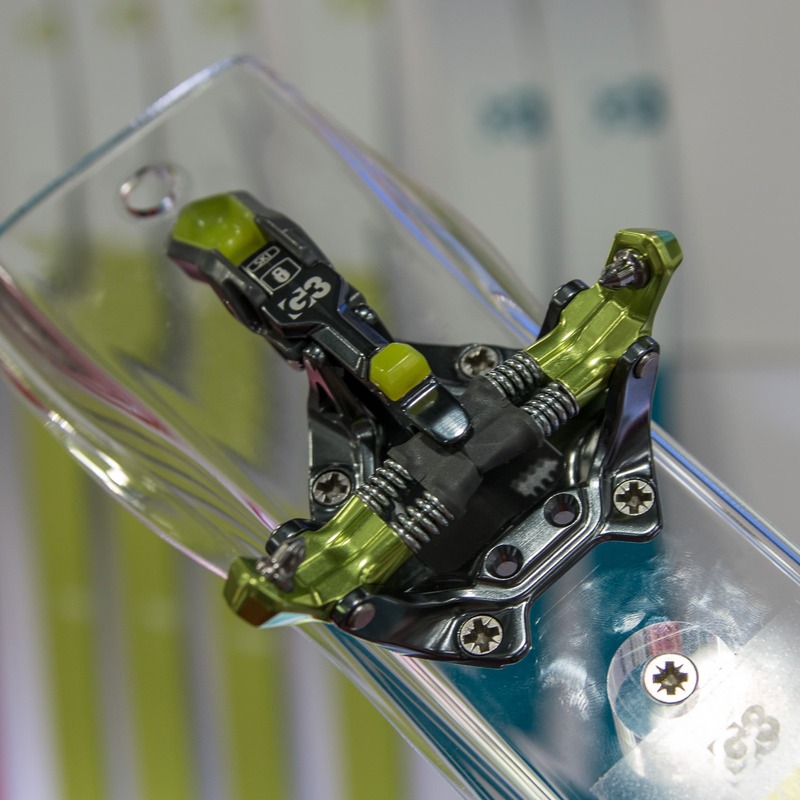 The single screw at the back of the binding sets both lateral and vertical release values. 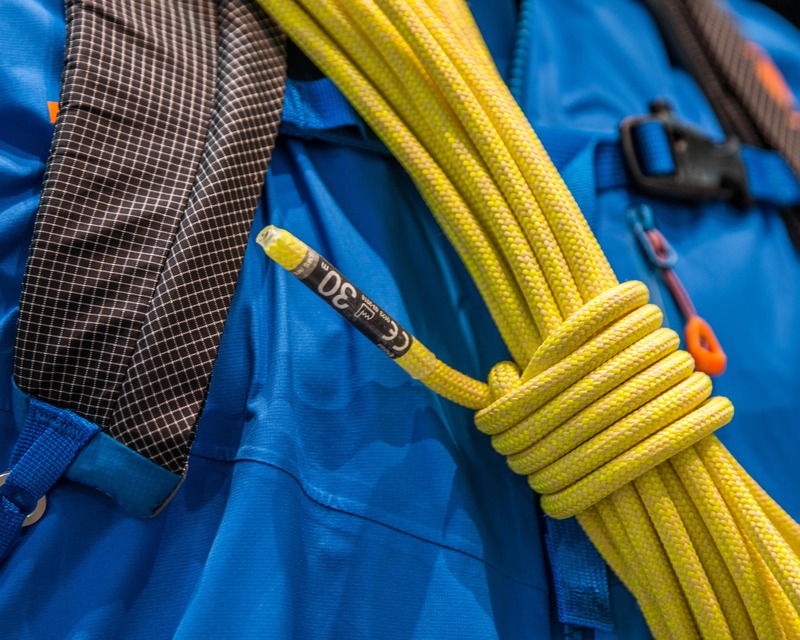 Marker jumps into the ultralight tech binding game with their new Alpinist line. 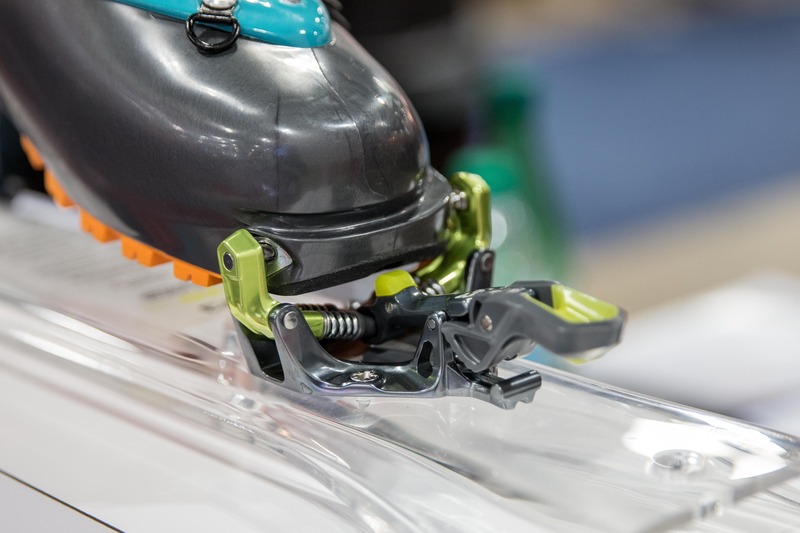 Available in 9 or 12 DIN versions the bindings combine a U-pin heel with a single spring-per-pin tech toe to create a binding that’s light but still fully functional. 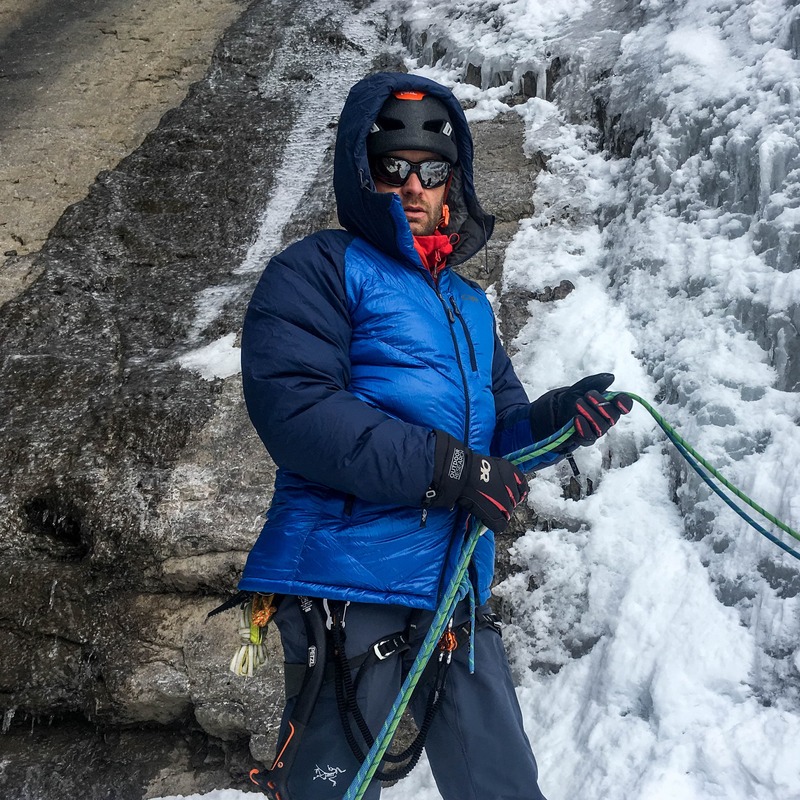 The Alpinist’s also have a large space under the toe springs with an anti-icing pad to facilitate cleaning this ice prone area. A big improvement over the Kingpin toe design. 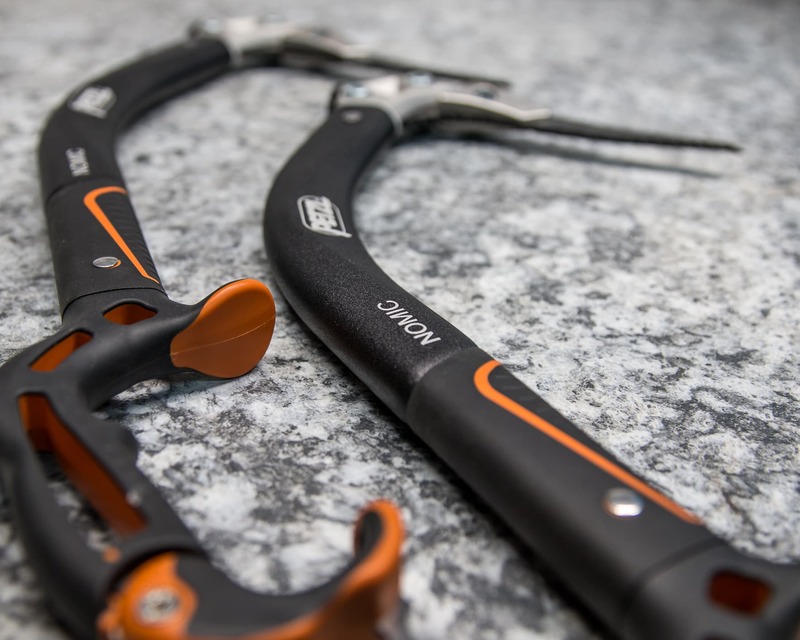 Other features include a standard/Dynafit type ski crampon attachment and a triple height heel lift: 0, 5 and 9 degrees. 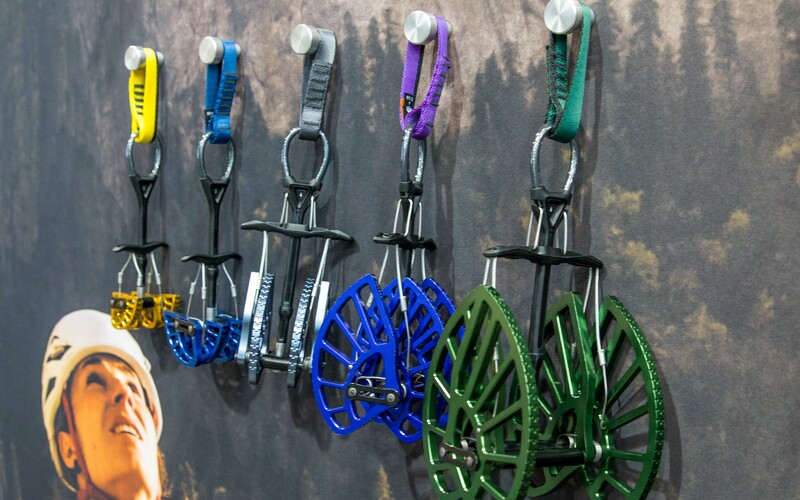 The 0 and 9 degree lifts require the heel piece to be rotated while the 5 degree lift doesn’t which may be a bit annoying if transitioning to/from the 5 degree lift very often. Composite construction (aluminum, carbon and fiber-reinforced polyamide) was used in an effort to keep weight down (245g, +90g for a brake). It’s still a bit heavier than some similar competitor’s models however which may force the Alpinist to compete on price point. I’m not sure what that will be at this point though. 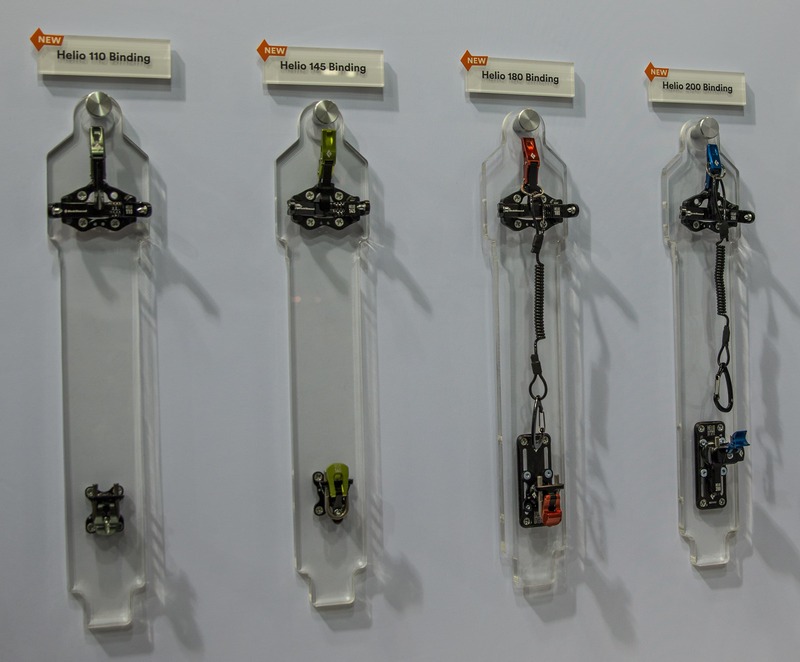 BD debuted a line of 4 new ultralight tech bindings. 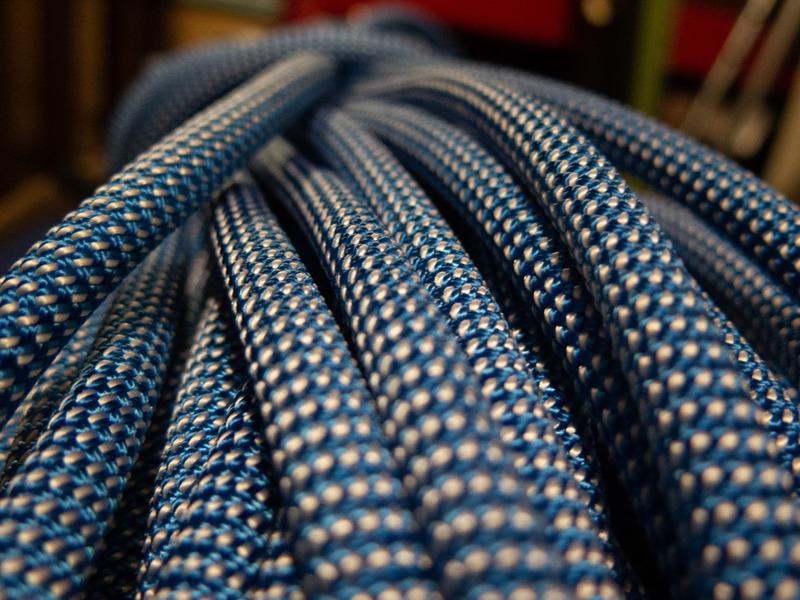 This expands on the line that currently includes the Vipec. 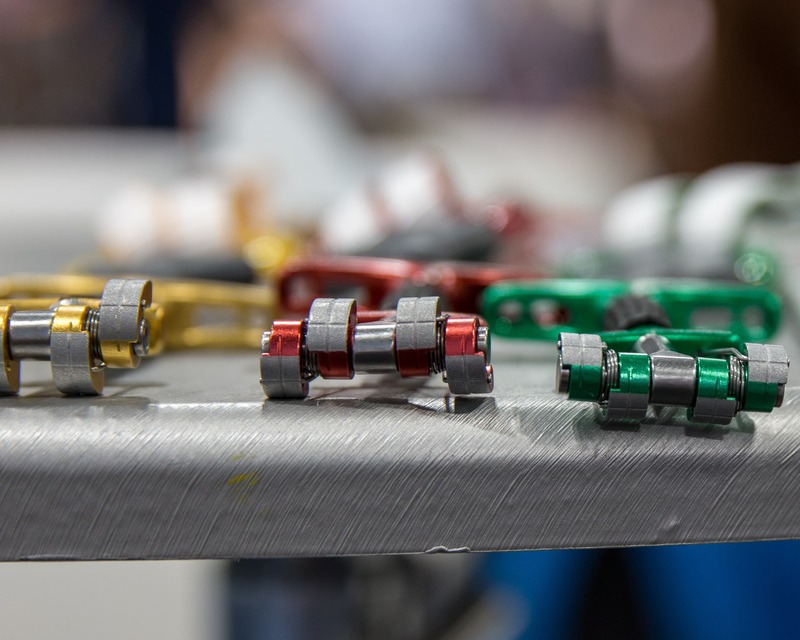 Color coded to match BD’s expanded Helio ski line they’re basically rebranded versions of bindings made by the Italian company ATK Bindings. A respected name in Europe but relatively unknown in North America. 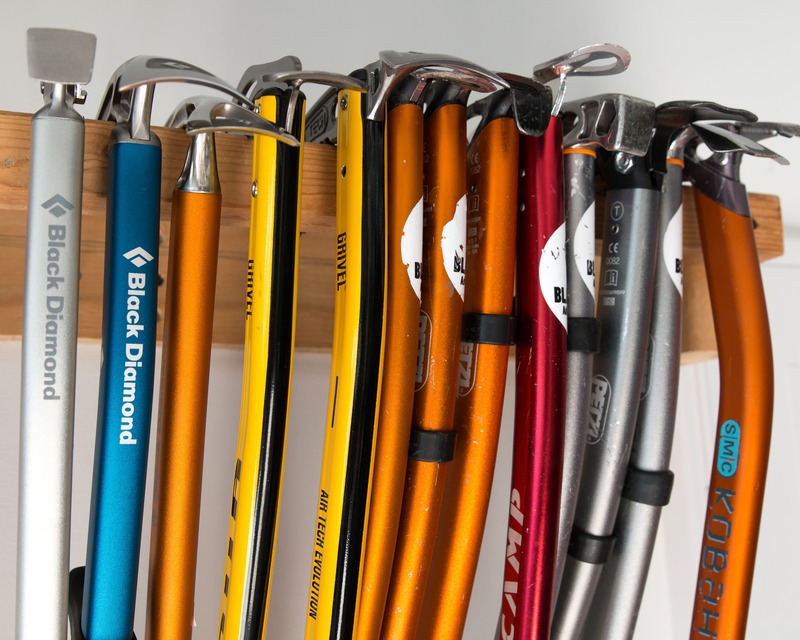 Ranging in weight from a super-light 110g to a still-really-fricking-light 200g these bare-bones units are ideal for the gram-counting, possibly even lycra-wearing, uber-lightweight ski touring crowd. MSRP: $625/$500/$575 & $700 USD for the Helio 110/145/180 & 200 respectivly. 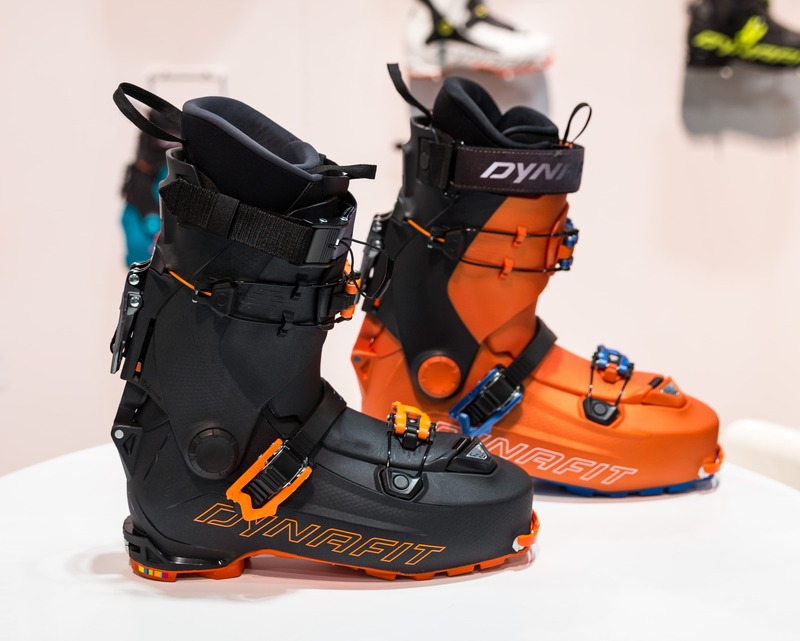 Dynafit is releasing the much anticipated Hoji line of ski touring boots which includes the Hoji Pro Tour (Grilamid construction) & Hoji PX (Pebax construction). 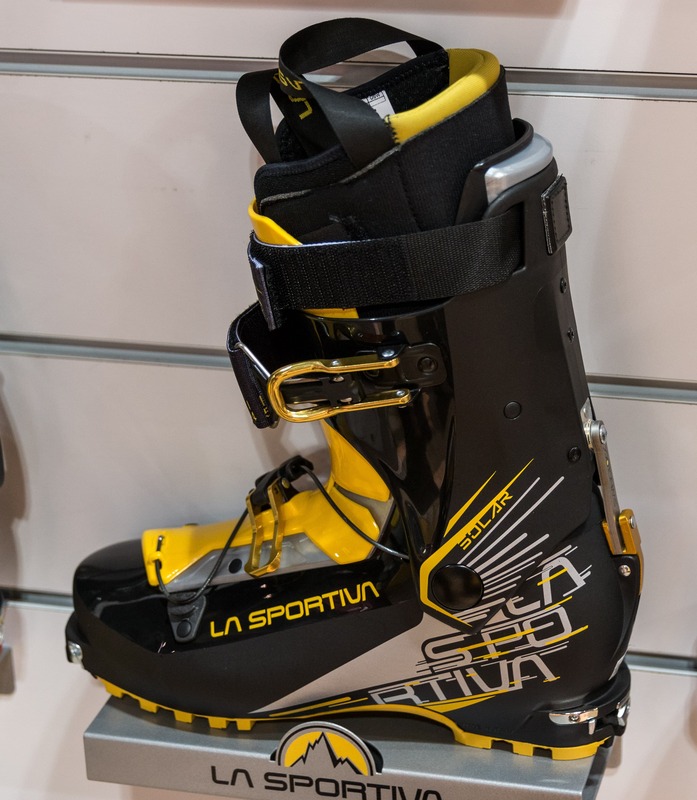 These boots feature a unique new walk/ski locking mechanism that’s been dubbed the Hoji-Lock. Of course both the boot and lock system names are derived from legendary skier Eric Hjorliefson’s nickname. And rightly so as the system is Eric’s brain-child. Something he’s been working on since 2011 when he started experimenting with a pair of Titans. Pro Tour in black & PX in orange. 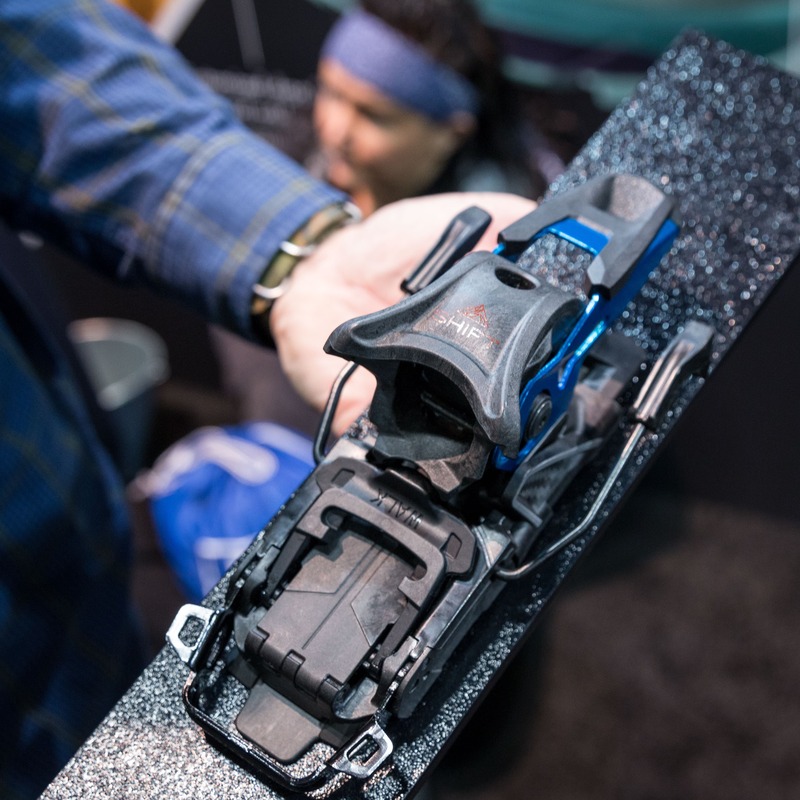 Instead of relying on a pin to lock the upper cuff to the shell this new walk/ski system utilizes a sliding tongue-in-groove spine. When in ski mode this spine engages with the shell of the boot along both sides of the ankle. 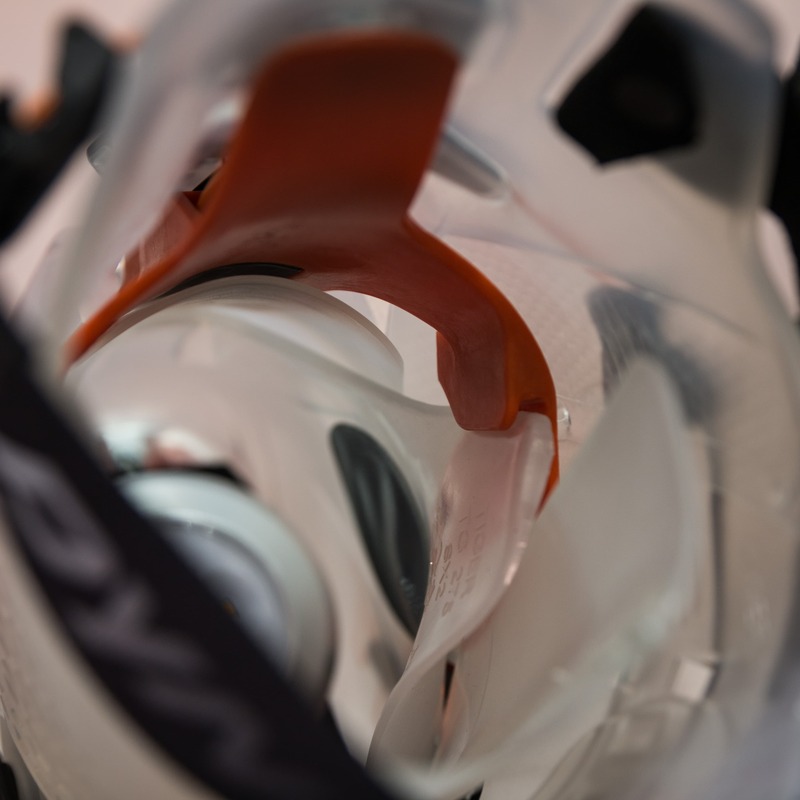 This allows the shell to directly support the cuff of the boot and provide a stiff and progressive flex. 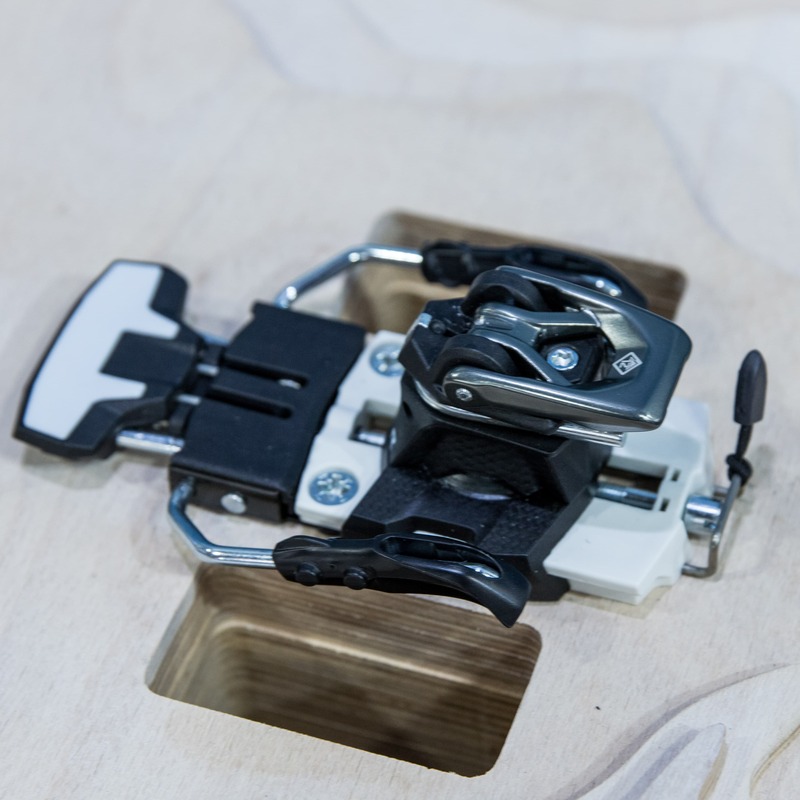 When the walk/ski switch is flipped up and into walk mode the sliding spine is pulled up and out of engagement with the shell allowing 55 degrees of rotation. The upper buckle on this 3-buckle boot is also operated by the walk/ski switch with the idea of making transitions quick and easy. Same demo boot with the lever in Walk Mode. 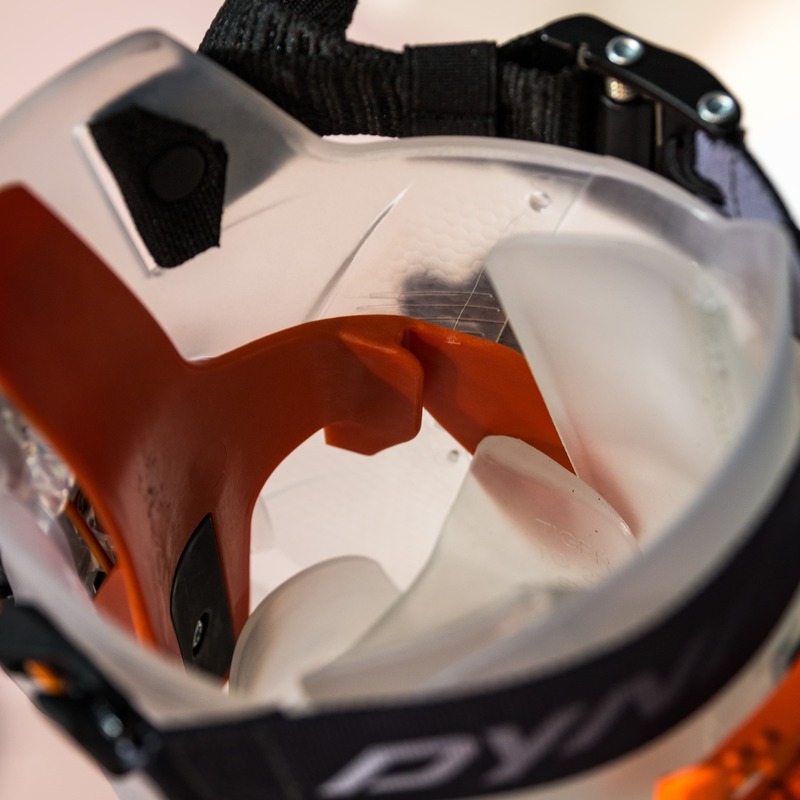 The Hoji boots also incorporated Dynafit’s Speed Nose which is a fancy way of saying that the toe welt has been removed. This allows the pin inserts to be pushed farther back with the idea of allowing for a more natural and efficient stride. 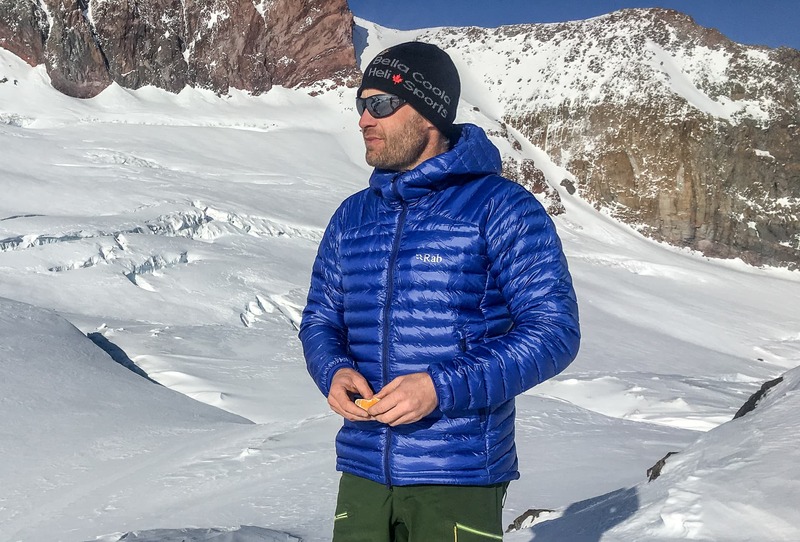 Of course this also means that the boot won’t work with any non-pin bindings and automatic crampons. 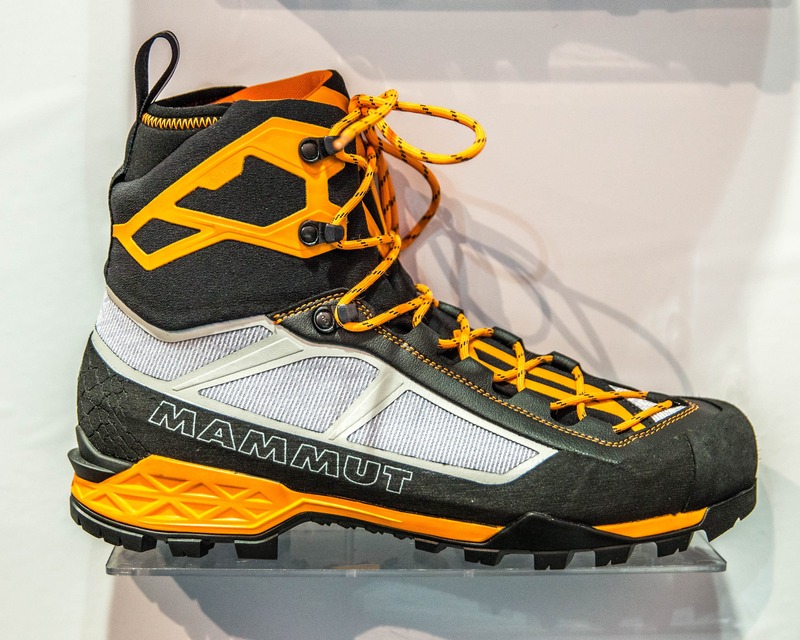 Interestingly the boots will include the Cramp-in system making them compatible with super lightweight clip-in crampons aimed at the racing crowed. 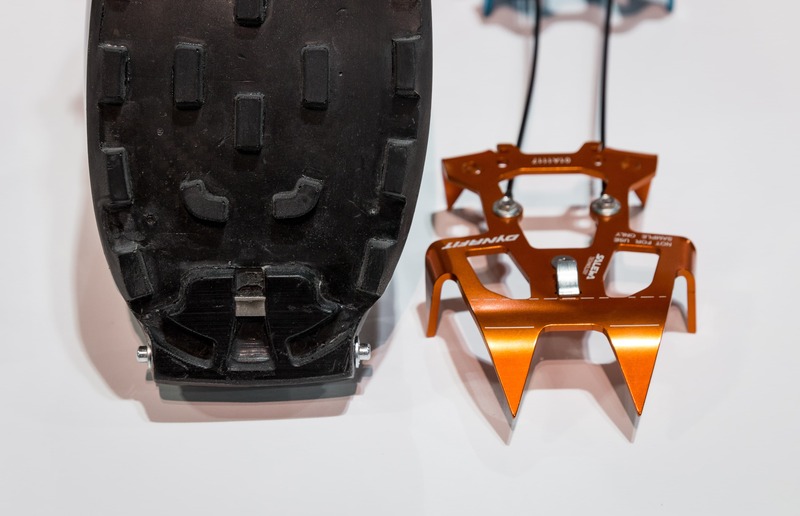 The Cramp-in system: skimo boot and crampon. The Hoji boots at the show didn’t have the sole insert in place so aren’t pictured. Other features include: An 11 degree forward lean. A relatively wide, 104mm, last which is rumored to have a narrow heel. Something my expanding and boot-battered feet are psyched about! A progressive 120 flex. The boots will be available in both men’s and women’s versions with an advertised weight is 1450g for the Pro Tour and 1530g for the PX in what I’m assuming is a size 27. Not super light but if it rides like an alpine boot I don’t mind a few extra grams. I wasn’t told what a pair of these boots will set you back but I’m guessing they won’t be cheap! 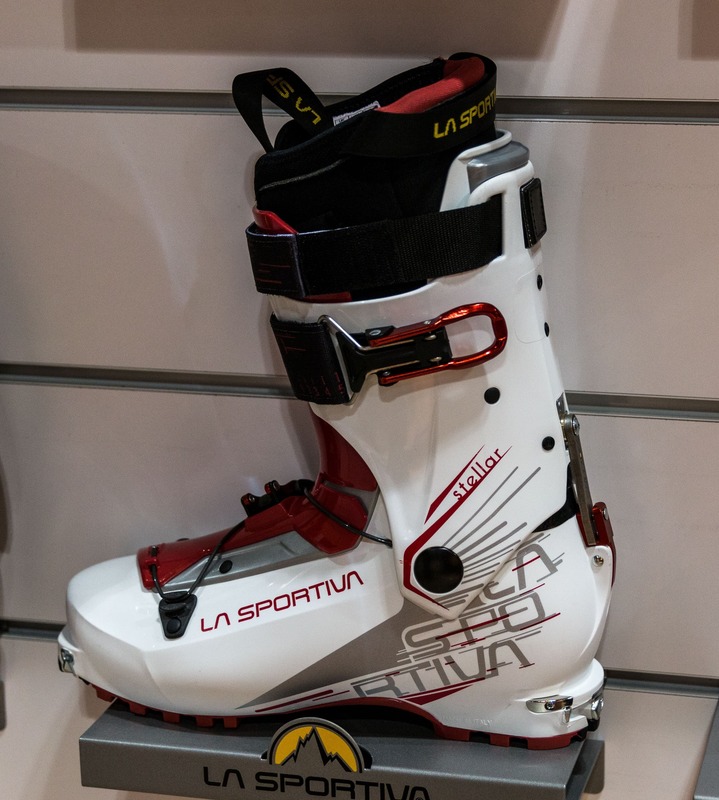 La Sportiva expanded their ski touring / ski mountaineering boot line with the introduction of the new Solar (Men’s) and Stellar (Women’s). These light-weight, 2-buckle touring boots feature a Grilimid shell, three forward-lean positions and an impressive 68-degrees of rotation in walk mode. 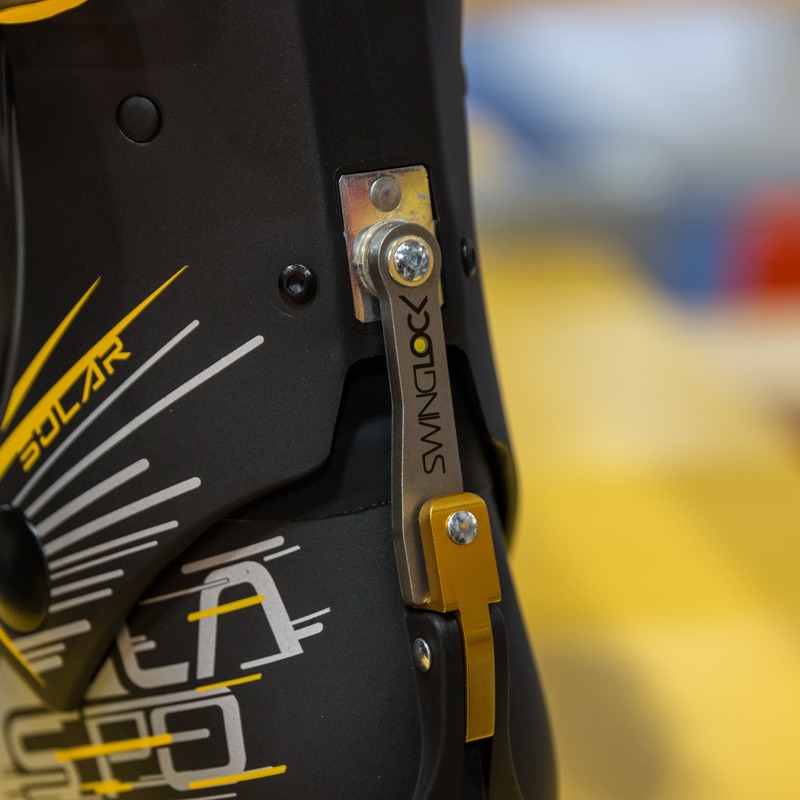 A very versatile boot the Solar and Stellar are compatible with all Tech, Alpine Touring and TRAB TR2 bindings allowing these ski touring oriented boots to crossover into skimo if you so desire. 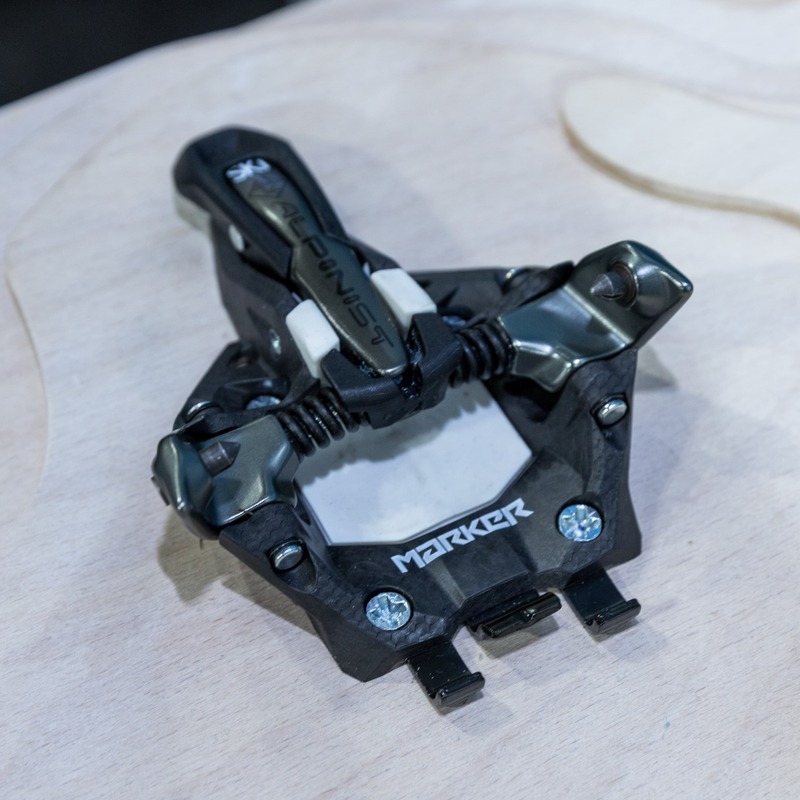 The boots feature a “Swing-Lock” walk/ski mode lever that pivots or swings 180 degrees to catch a pin and lock the cuff in-place for the downhill. Simple and effective. With a 90 flex the boots are on the softer end of the spectrum but that’s to be expected with the 2 buckle design. 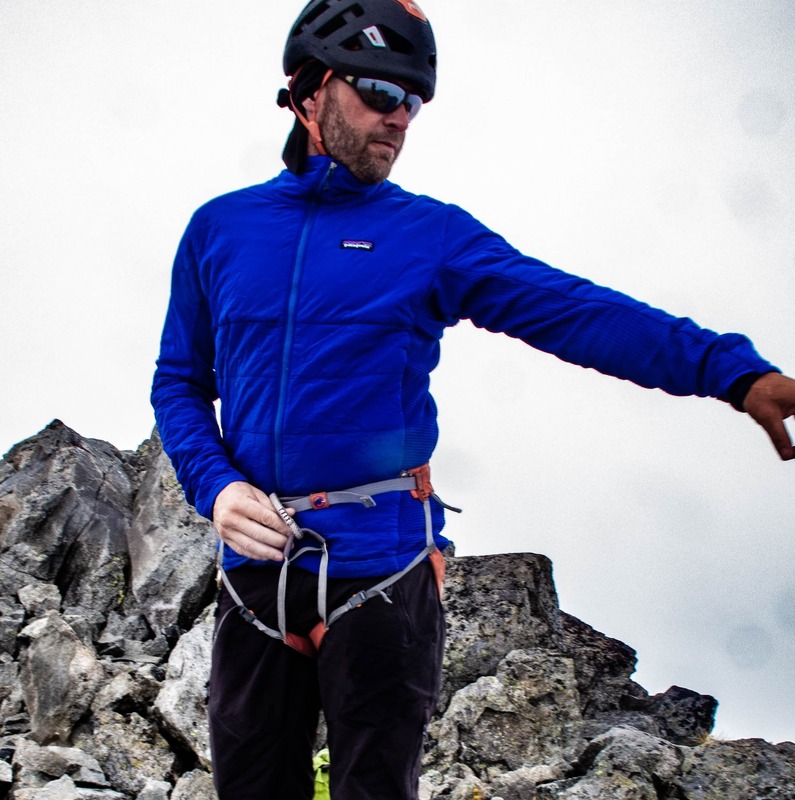 Other features include La Sportiva’s Grip Guard™ sole, Spider Buckle Evo™ closure system and EZ Flex™ overlap tongue. MSRP $699 USD.